I had worked blackwork border patterns on a white tunic earlier. In this tunic , instead of drawing from a graph pattern, I did the blackwork on aida cloth itself.I wanted the embroidery borders on light cream cloth,the aida cloth was ideal for that. The pattern I chose from a blackwork book and modified to my requirements. 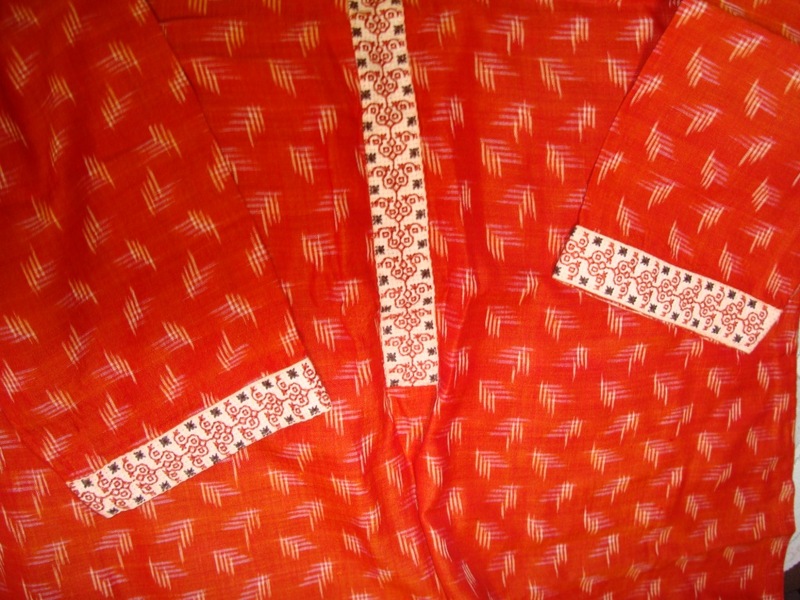 The fabric is mercerised cotton in ikat weave.it has a sheen , which is not there in handloom cotton. The thread colours- I used the fabric colour and a dark brown colour thread. 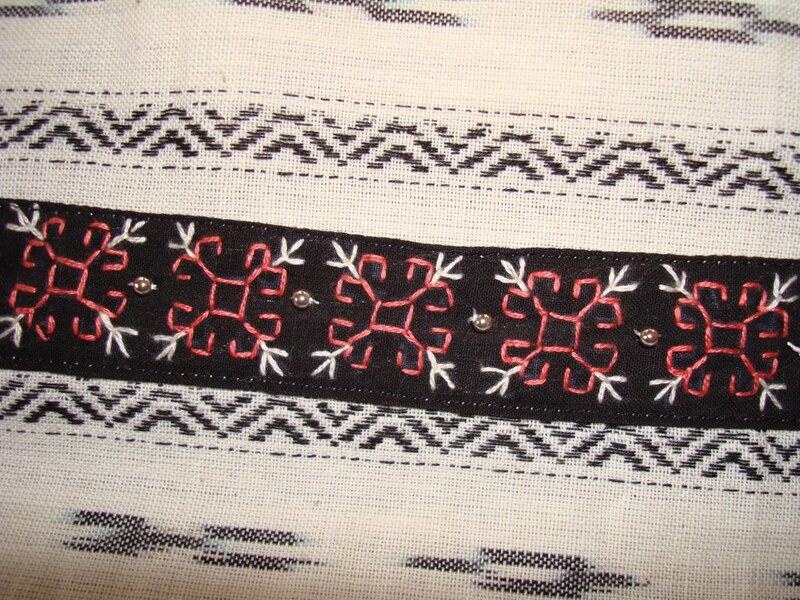 and it is easier to get an almost perfect effect[ because only God is perfect].this reminds me of an information, when the ethnic women do embroidery , they always do a motif which is not a part of the original pattern,or they atleast change the colour deliberately on a the pattern – to remind themselves that, only God can be perfect . 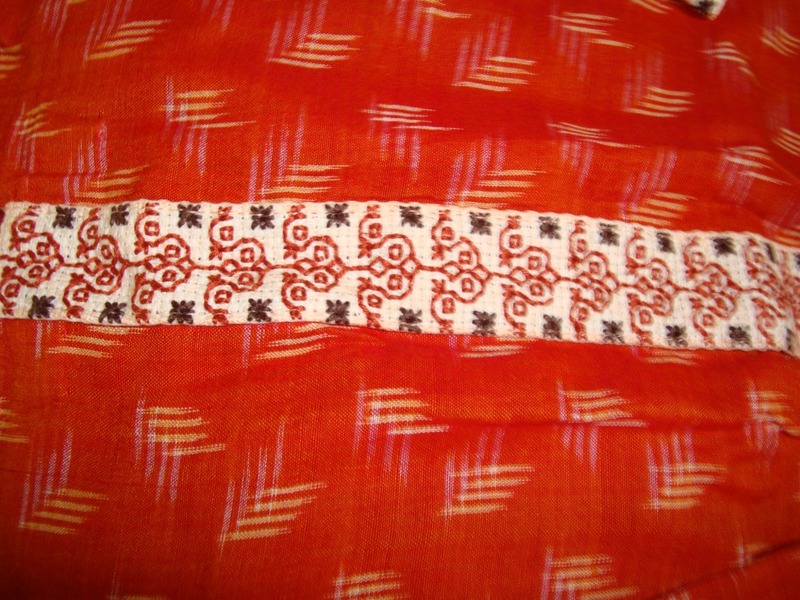 this aspect I had seen in many ethnic embroidery pieces in India. We don’t get exact even weave[or square evenweave] cloth in India,even the canvas cloth or waste canveas are only rectangular. While using these, we have to take care while choosing the pattern. 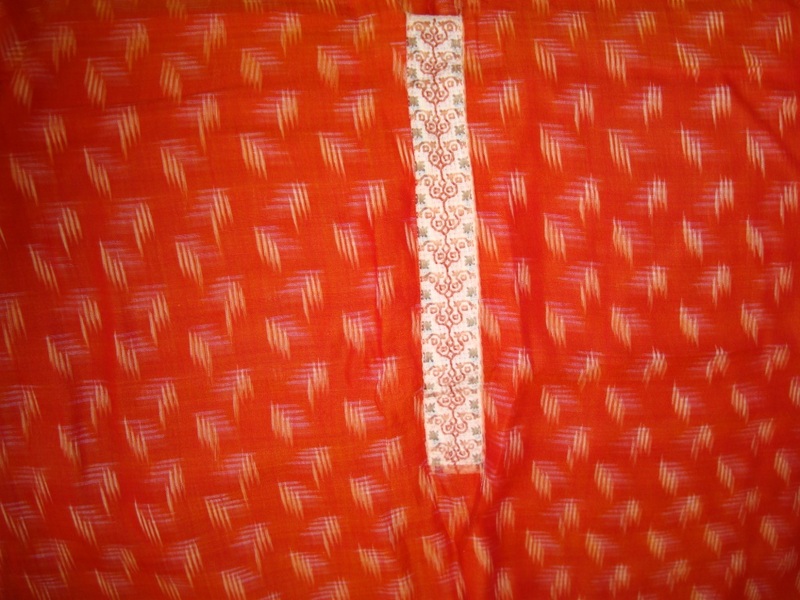 There is wide range of patterns , when used , enhances the embroidery and the overall effect of the work. We can try a small sampler motif on a piece of these cloths, before starting to work on a project, and avoid using four sided patterns.